MY SUZUKI FIERO 2001 MODEL HAS CROSSED 291000 KMS and Still RUNNING..
Suzuki Fiero was the first 150cc 4-Stroke bike launched in India. The Bike was the best 150c bikes of that time. Even when the CBZ powered with an 156cc, it can produce an output power of only 12.8bhp. 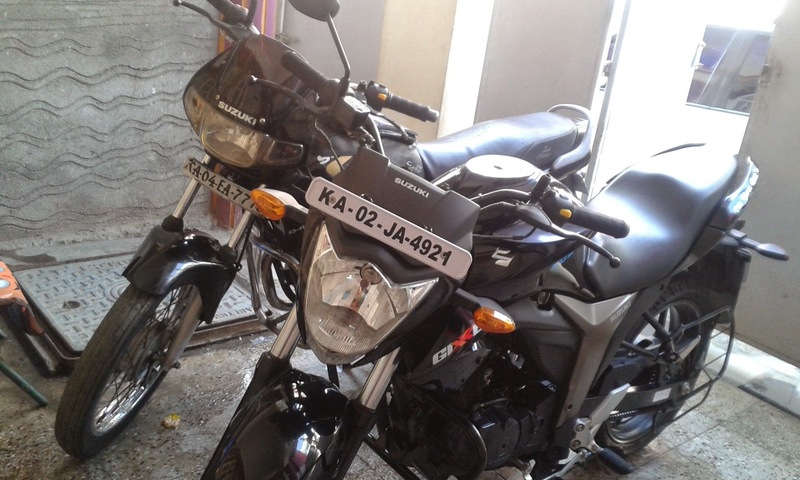 TVS after breaking with suzuki has tried lot to use name of fiero but said to say that they couldn't. Even today it stands as a classic bike in the hearts of Indians. My SUZUKI FIERO 2001 MODEL BIKE WAS ABOUT TO CROSS 3 LAC KMS IN SPAN OF 14 YEARS GOT BORED LAST WEEK. I really have experienced a great ride from suzuki fiero bike. Thank you very much to suzuki who has provided such a great model and now i am moving to GIXXER which i believe will give me same taste. Suzuki Motorcycle India Private Limited is the Indian arm of the Japanese multinational corporation, Suzuki Motor Corporation that is headquartered in Minami-ku, Hamamatsu, Japan. Besides rolling out batches of scintillating bikes and amazing automobiles, this Japanese company is also involved in the production of outboard marine engines, wheelchairs, all-terrain vehicles (ATVs) and small internal combustion engines. Today standing at the 9th position in the line-up of the largest automobile manufacturers of the world, Suzuki began its journey as something completely different - Suzuki Looms Work. Started by Mr Michio Suzuki in 1909, this company manufactured weaving looms for the better part of the time till 1951, indulging in the production of prototype cars for about a couple of years before the World War II broke out. 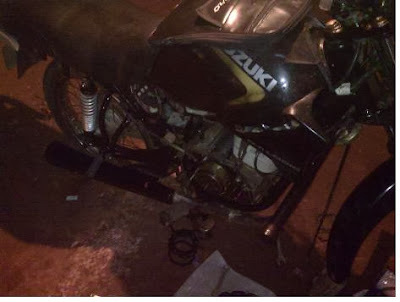 But, after the cotton market crashed in 1951, Suzuki abandoned its looms and went back to the motor vehicles coming up with the first known form of a Suzuki motorcycle – a motorized bicycle by the name of 'Power Free' in 1952. After building two-stroke engines for more than two decades, Suzuki moved on to manufacture four-stroke bike engines in 1976, the first ones being GS400 and GS750. Today, Suzuki bikes have established their footprints in every part of the globe, and India is no exception. The Indian markets, these days, are glittering with the dazzling fleet of new Suzuki bikes that includes the likes of Hayabusa, GSX, GSX-R1000, GS150R, Intruder, Bandit, Slingshot and Hayate. Besides these, there is a whole lot of shining new Suzuki bikes that are waiting for their launch in India which includes Suzuki B-king, Gladius, GW250, Inazuma 250, Skydrive and V-Strom. Apart from bikes, Suzuki India also has a couple of scooters in its portfolio that are quite popular amongst the Indian crowds – Access and Swish. Suzuki bikes in India have always been revered for their stunning looks, futuristic style, unbeatable technology, extraordinary performance, easy handling and immense reliability. That's the reason why Suzuki bikes have won so many awards over the past few years like the Motorcycle of the Year Award 2010 for Suzuki GS150R and Most Awarded Bike of the Year Award 2011 for Suzuki Slingshot.